Have you ever had a headache seemingly out of nowhere? You haven’t had any extra stress in your life. You haven’t been doing any heavy lifting. You haven’t even wanted to punch anybody’s lights out recently. Where is it coming from? Well, being as it’s summer here and temperatures are warmer than they’ve been, it’s a good idea to listen to your body and to see, perhaps, if it’s a call for more water. Now, you may not like water (I hear that a lot), but there are ways that you can make it appealing – even tasty. For instance, if you just add a pinch or two of really good salt – Himalayan or Celtic salt – to your water, that can make it taste better (and add important electrolytes!). And if you keep a pitcher of water in the fridge, you can add all kinds of fruit to it. You can add sliced strawberries, other berries, kiwi, pears, or slices of lemon, orange, or lime, leaves of fresh mint, even cucumbers and herbs like rosemary or basil. Of course, you are filtering your water, aren’t you? Experiment and make your water taste good to you, so you drink plenty of it. The general recommendation is that you drink half your body weight in ounces every day. That means for every 60 pounds of body weight you drink a liter of water. 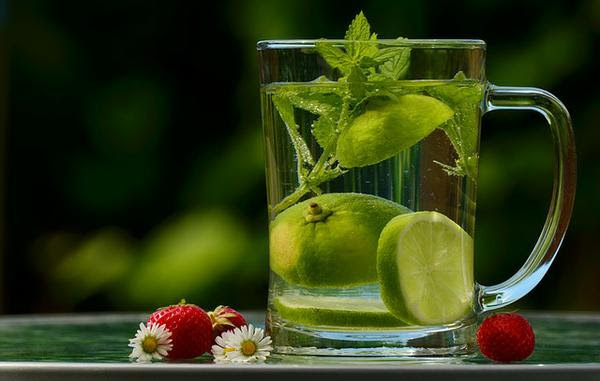 Adequate hydration is one of the pillars of functional lifestyle medicine. Do think of water first the next time you have a headache coming on, and see if you don’t feel just a bit better right away. And remember, prevention is always the best strategy! Is Your Energy Up to Your Mission? Is Your pH Out of Balance? Michele McGrew on Do I Look The Best I Can?